Dining Room Breakfast is served in the Dining room, overlooking the front garden. Breakfast is a highlight of your stay at Whistlers Dell with freshly baked bread, freshly squeezed orange juice, fresh fruit salad, Gordon’s delicious porridge and a full Scottish breakfast to enjoy. It is served between 7.00am – 9.00am mid-week; 8.00am – 10.00am on Saturday and 9.00am – 10.00am on Sunday (earlier breakfasts can be catered for, by request). “A chef, Gordon, a pianist, Joan – and a nice family in an exquisite setting. Thank you for the talk, the food and the recital!" “We had a lovely night, a very comfortable room and a lovely breakfast. Nice, sweet people”. “We had a really nice evening with the two of you, and your dogs! Thank you for the entertainment with the harp and the piano!" “Thank you for a wonderful stay! You made us feel like home or even better. You took really good care of us!" “Thank you for the warm welcome – we thoroughly enjoyed our stay with you. The food was superb – both breakfast and dinner. Nothing overlooked!" “5 Star accommodation and hospitality! 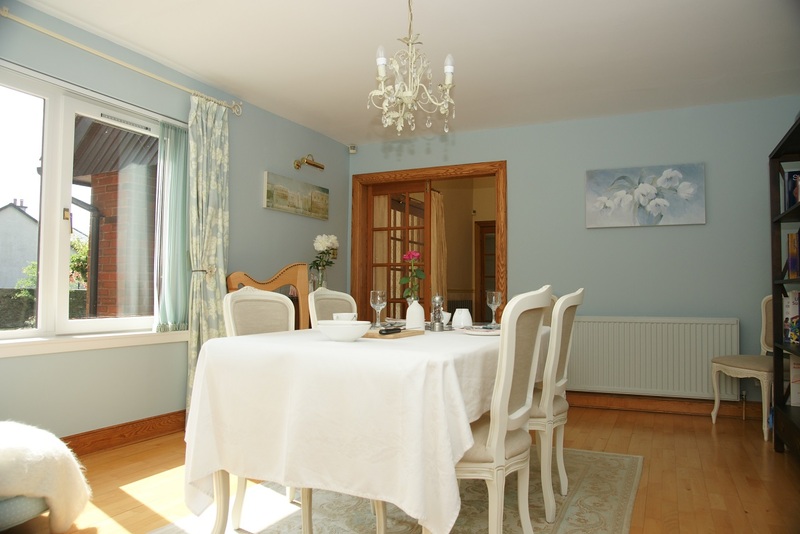 A lovely home & setting with wonderful personal touches – delicious home-made bread, pretty toilet paper, uber comfy bed!"